Black History Month In July? I originally created this image around February. I know why I didn’t post it earlier. I didn’t finish the background and the photographs of my low contrast paintings never look right. It’s a good progress shot I guess. The overall composition will work better when I finally finish the piece. 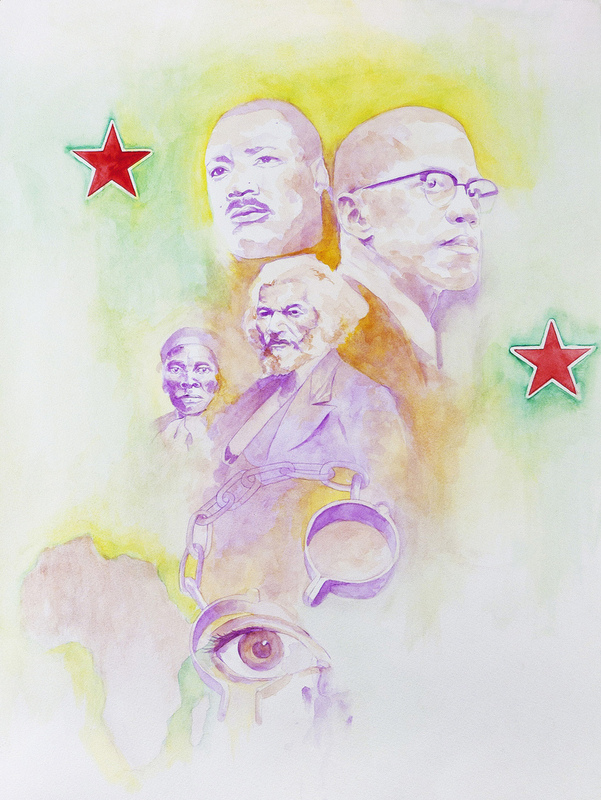 This entry was posted on Friday, July 13th, 2012 at 4:04 pm	and tagged with Black History Month, illustration, Watercolour and posted in Original Art. You can follow any responses to this entry through the RSS 2.0 feed.